Hooray for you! I am, of course, not the least bit surprised! Of course you would be voted the best. Because you are! Of course. I agree. You’re the best. Yeah! To you!!! I agree, you are the best!!! That is why I travel to your shop from Burlington. 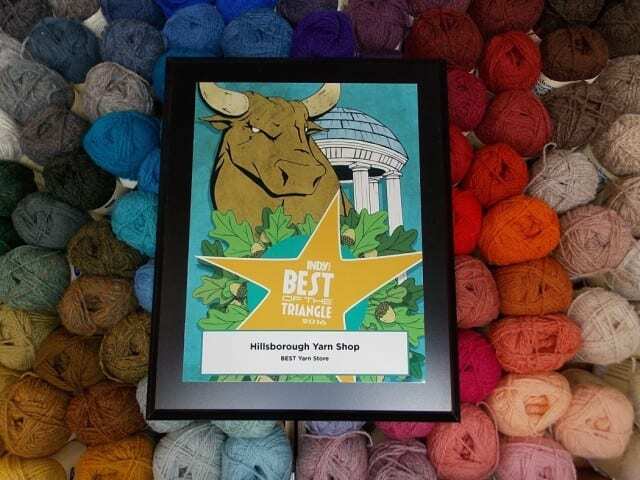 Proud to be a Frequent Buyer Card carrying customer to the Best Yarn store!!! Thanks for the kind words, everyone! You’re making us blush! Was there ever any doubt?!?!?! BIG hugs to you!